The Alps of France, Italy, Austria & Switzerland are an almost mythical place in the minds of skiers and climbers. The birthplace of alpinism and ski mountaineering with a rich ski culture all to its own, the Alps should be on the list of any serious backcountry skier. However, this magnificent mountain range and it’s skiing opportunities are somewhat misunderstood by many North American backcountry skiers who are used to a vastly different set of circumstances. First of all, there really isn’t any “backcountry”. This is because for there to be backcountry there has to be a boundary, and in the Alps there are not so much ski resorts with boundaries as a North American would known them. There are just lifts. And these lifts can go from valley to valley to valley and from town to town to town. And yes, even from country to country. These lift systems can be utterly massive. In one part of the Alps, the Dolomiti, there is a lift system of over 400 lifts (all under one lift ticket of approximately $75 per day). In Zermatt, Switzerland, you have the option to upgrade your ticket to an ‘international’ ticket which allows you to ski the connected lifts in neighboring Cervinia, Italy to grab a quick Cappuccino or slice of lasagna. Lift served vertical drops of 6,000 feet or more are common in the Alps with some stretching upwards of 9,000 feet. The Aiguille du Midi lift in Chamonix will whisk you from the middle of town at 3000 feet elevation to the high glaciers of the Mont Blanc Massif at well above 12,000 feet, in about 25 minutes. In the right conditions this gives you a 9,000-foot ski past ice falls and crevasses right to the Après ski bars back in town. All of this puts Squaw Valley, Jackson Hole, and even Revelstoke to shame. The Aiguille du Midi cable car in Chamonix. 5,000 ft station to station…no towers. In the Alps you have what has historically been known as ‘piste’ and ‘off-piste’. A piste run is typically a groomed run with roped or un-roped boundaries that is in a controlled area which means there is avalanche control, signage, and the crevasses are filled in. Off piste is basically everything else. Most skiers in the alps are quite content to slap on their tiny carving skis and bomb the well-manicured on-piste groomers while soaking in the views, completely ignoring the 16 inches of fresh mere feet from the rope. Visitors from the US can be blown away to see crowded groomed runs while at the same time there’s acres of relatively untracked powder everywhere else, and 2 days after a storm. Something you won’t find 2 hours after first lift at Mammoth Mountain or Squaw Valley. But in many areas, there is a reason for this. Say you’ve taken the T-bar or chairlift to the top runs in Zermatt and you’re carving your way down the corduroy enjoying the views of the Matterhorn when you notice all this untracked dry powder just a few feet outside the rope. You duck under the rope and are enjoying the pow just 20 feet from all the other skiers when your skis suddenly zip right over a 2-foot wide open crevasse. A bit shaken, you quickly duck back under the rope. This is off-piste. Off-piste can take many forms. You could be skiing great snow on non-glaciated terrain off a lift and perhaps not fully realize that you are now in an uncontrolled area with significant avalanche danger. Or perhaps the run just outside the rope that you’ve dropped into, unbeknownst to you, ends in a 200-foot cliff. The dangers of lift skiing served off the piste in the Alps are far and wide, and not always well signed. However, this whole situation affords great opportunities to the experienced backcountry skier and ski mountaineer, as well as those who employ the services of a guide. Which brings us to the three main categories of Alps “backcountry” skiing: Freeride, ski touring & ski mountaineering. These terms are loosely affixed to a wide array of backcountry skiing styles and as you can imagine there can be considerable grey area between them. Freeride skiing is what most skiers who come to the Alps from the US want to do, but don’t know it. Freeride is primarily lift served “backcountry” with perhaps short bits of hiking and skinning. We sometimes call it “side country” in the US. But in the Alps, it’s more accurate to label it “the rest of the country”. The selection of off-piste terrain that is accessible from the lifts can many times be more extensive than the on-piste terrain. It can be somewhat compared to Heli skiing off a lift (and yes, in many Alps countries they have Heli ski access also). The ski gear for freeride are the skis you want to ski. We’re talking the big boy skis of 100mm under foot or wider, beefy touring bindings and supportive 3-4 buckle touring boots. Split boards can do very well in freeride terrain. A typical freeride day can entail riding two gondolas and a cable car to the top first thing in the morning, ducking the rope and dropping 6200 feet down lightly tracked chutes and bowls into a far valley. After a quick latte or delicious Weiner schnitzel at a remote chalet, you catch a bus back to the base lift. Back up you go to access that short 40-minute skin that takes you to that far untracked run you saw the day before. Spitting you off at the base of a chairlift you get back on the piste run down in to town, and of course to the inevitable après ski party. Freeride skiing is really the quintessential Alps skiing experience having all the elements of resort skiing, ski touring as well as occasionally ski mountaineering. Major freeride destinations in the Alps are Chamonix and La Grave in France, Verbier and Engelberg in Switzerland, Alagna and the Dolomites in Italy, and St. Anton in Austria… among many others. Ski touring in the Alps is like nowhere else in the world. And the reason for this are the huts. Sure, you may not have the blower powder of the Selkirks in Canada or the vast wilderness and serenity of a tent-based trans-Sierra Nevada tour. But, oh...the huts! And the views are off the hook. Ski touring is going from point A to point B with perhaps some ski objectives in between. You’re generally moving through spectacular terrain, much of it on glaciers, in more remote sections of the Alps. While great descents can be had depending on your location, the goal of ski touring is covering distance on skins under your own power. The famed Haute Route Ski Tour from Chamonix, France to Zermatt, Switzerland is a classic example. It is a 5-6-day tour covering approximately 75 miles and 20,000 feet of vertical gain and descent with just a few lift assists along the way. Other classic Alps tours are the Ortler ski tour in the Sud Tirol of Italy and the Silvretta ski tour in Austria among many others. 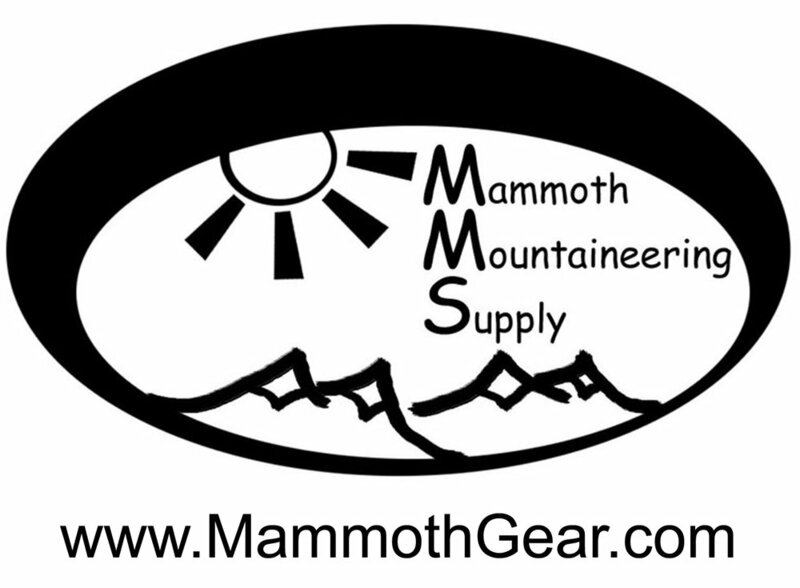 Ski gear for Alps ski touring are light weight and skinnier skis. Best not to go with any skis over 95mm underfoot and around 90mm is just about right. What you may lose in floatability you gain in comfort since most of your day is pushing skins. Lightweight two-buckle touring boots are ideal, but any lightweight touring boot works well. Ski crampons are a must for touring in the Alps as many times you find yourself in some steeper and icier skinning situations. For most Alps ski tours, split boards are a bit of a liability due to all the contouring and flatter traverses, but on some tours you will see some split boarders having fun. Since many tours are on glaciers, a harness, ice axe and crevasse rescue kit are also essential. The huts in the Alps are an experience not to be missed. They are literally everywhere, dotted amongst the high alpine peaks and perched on the sides of glaciers. Many originally built over a 100 years ago, the alpine huts are part of the fabric of European climbing and skiing. During the high-season they are fully staffed and operate like proper lodging establishments with dorm-style accommodations and full-service restaurants, complete with a drink selection and wine list. And they are VERY social. 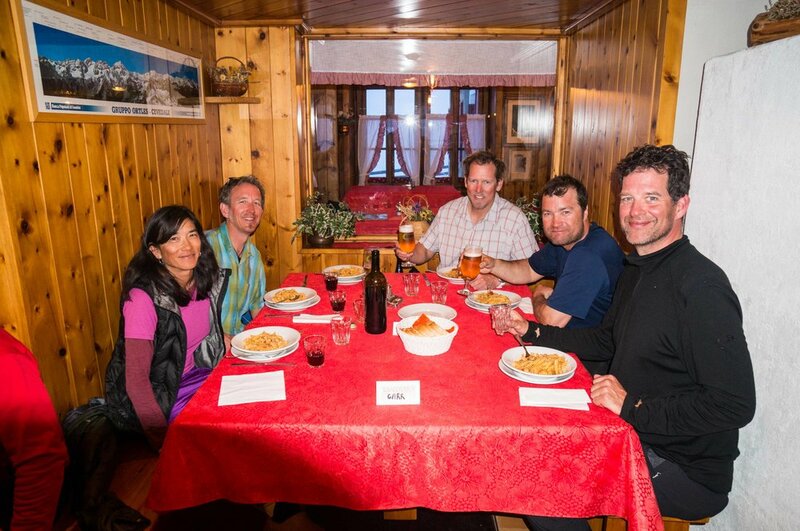 Staying at a hut, you’ll find a camaraderie of like-minded skiers from around the world. Don’t worry too much about speaking the local language since very few others do as well. You’ll find Germans and French speaking English to each other and everyone getting along while constantly being elbow to elbow, whether in bed, at dinner or in the WC. And since the huts provide your bedding and food, you get to tour with a lightweight pack. The food can be fantastic, especially in the Italian huts (which also have full service coffee drink machines…it would simply be uncivilized in Italy to not serve a proper cappuccino!). Sometimes you’ll find hot showers, saunas and foosball tables. One hut in Switzerland even has a beer list that is as thick as a phone book (remember those?) and specializes in wine-bottle-sized Belgian tripels. All this luxury doesn’t come cheap of course. While the lodging with breakfast and dinner runs around $100/night per person, a bottle of water can cost $10 (same as the beer!). This is mostly a result of many huts being resupplied by helicopter. And then there’s ski mountaineering. To put it very simply, ski mountaineering is climbing a mountain with skis. The ascent may be a combination of skinning with skis on and/or booting up with boot crampons and the skis are on your pack. An ice axe is a key piece of equipment here. Rope work is used and rappelling into ski lines is common. None of this is for the faint of heart and solid climbing experience, along with expert downhill skiing skills are required. As you can imagine, ski mountaineering skills can be used on many ski tours and even occasionally on freeride objectives. But sometimes it’s just ski mountaineering…climbing a technical peak or objective with skis and then skiing down, period. While you can find challenging (and less crowded) ski mountaineering objectives all over the Alps there is one location that arguably trumps them all. And that is Chamonix. Chamonix is where the sport of climbing mountains was invented way back in the late 1700s and it is the birthplace of modern ski mountaineering as well. Simply put, Chamonix is the center of the universe for alpinism and ski mountaineering. While crowded and perhaps too much of a scene at times, a trip to Cham is a must. 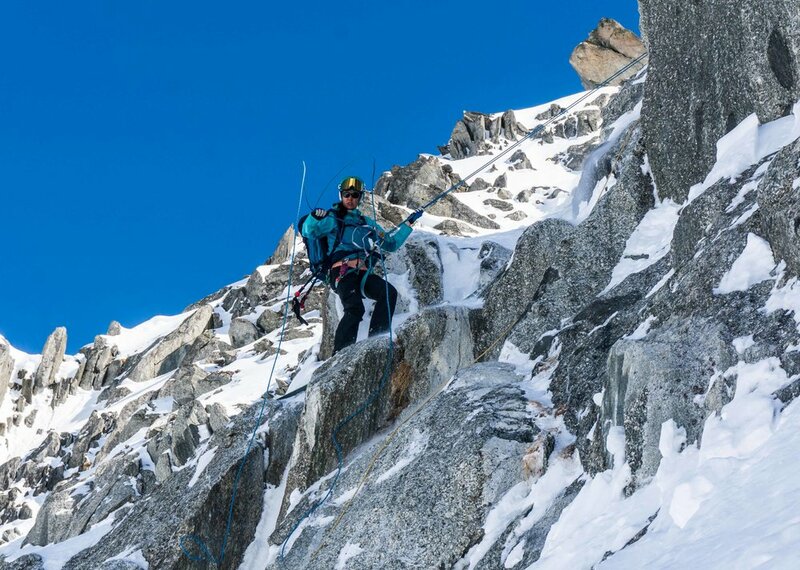 Thanks to high alpine lifts such as the Aiguille du Midi and the Grand Montets, many Chamonix ski mountaineering objectives can be even be done in a day. There we have the Alps a nutshell. And a nutshell can’t even come close to containing the skiing to be had in the Alps. There’s literally two lifetimes of skiing to be had in this magnificent mountain range.